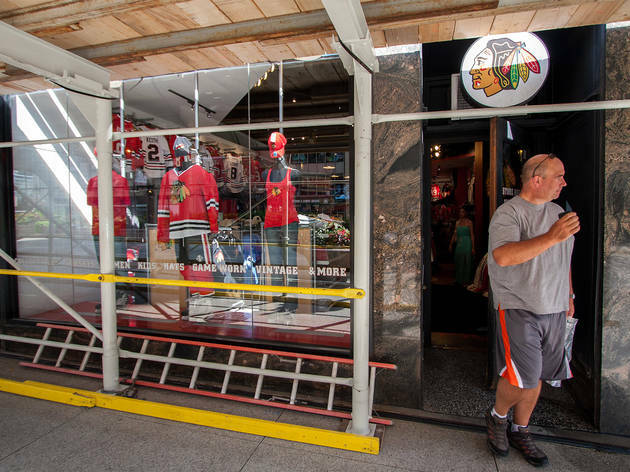 Coming off a couple of successful years, the Blackhawks have attracted all kinds of fans. Whether you’re the real deal or looking to pick up some merchandise to solidify your new fan status, the Blackhawks Store (formerly HawksQuarters) is the place to get all your gear. Get your hands on game-worn gear, memorabilia, hats and more. El: Red to Lake. Bus: 3, 39, 26, 143. Really enjoy coming to this store. Love using the green screen and taking pictures. There's such a great selection and everything they have at the stadium they have here. 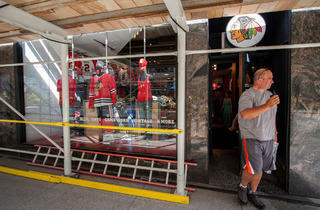 More convenient location and great place to get gifts for Hawks fans.